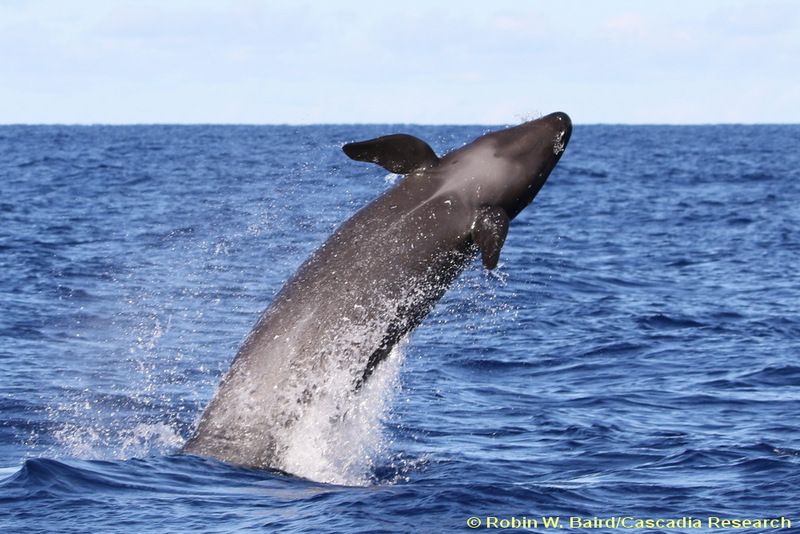 (CN) – The federal government has officially listed the coastal areas surrounding the Hawaiian Islands as a protected, critical habitat for the endangered population of false killer whales living there. The National Marine Fisheries Service published its long-awaited rule Tuesday on the designation of a critical habitat for the whales, which conservationists said is crucial for the “recovery” of a species once considered on the brink of extinction. Giulia Good Stefani, staff attorney for the Natural Resources Defense Council’s ocean’s project, said in an interview that the designation is a victory that came “in the nick of time” for the small, unique population of whales. The false killer whale, a type of dolphin, is the only known whale that lives close to land. The species gets its common name from its physical similarity to orcas, also known as killer whales. The designation will require federal agencies to ensure that any actions they “fund, authorize, or carry out are not likely to destroy or adversely modify” the false killer whale’s habitat. In the wild, false killer whales can grow between 15-20 feet long, weigh up to 1,500 pounds, and live as long as 60 years. The NRDC sued the agency to get the false killer whale added to the federal endangered species list, which it did in November 2012. She was “heartened” by the agency’s acknowledgement of the importance of water quality and sound to the whales. The area is a sonar and underwater detonation testing site for the U.S Navy, which Stefani said puts the military branch “in direct line of conflict” with the whales. The Navy’s sonar activity is the “largest source of sound in this species’ range” aside from seismic testing for nearby oil and gas drilling operations, according to Stefani. Other excluded areas include the Kaulakahi Channel portion of Warning Area 186, the area north of Molokai, the reduced Alenuihaha Channel, the Hawaii Area Tracking System, and the Kahoolawe Training Minefield, according to the rule. Robin Baird, research biologist with Cascadia Research Collective, said in an interview that several of the excluded areas include critical transit corridors on the southern coast of O’ahu. The critical habitat area designated by the agency is largely based on data from satellite-connected tags collected by the Cascadia Research Collective. While the designation doesn’t provide immediate, wrap-around protection – and therefore is “not a panacea” – Baird said he is glad the agency finalized the rule. The biggest threat to the “top-level predators” is incidental death caused by fishery operations such as being entangled in commercial fishing gear, said Baird, who added that the rule won’t provide protections from those activities. Commercial fishing is a considerable threat because the whales feed on “prey species” such as yellowfin tuna, mahi mahi and swordfish, all of which are popular in U.S cuisine. Baird, who said he has worked with this population for over 20 years, estimates today’s false killer whale population at around 160.